The Employment Status window pops up. From the drop-down, select "No, eligible for rehire", "No, not eligible for rehire", or "Automatically terminated for inactivity". Click Update Employment Status to save. This will inactivate the employee record. Click on the + (plus) sign to the left of your Company's Division. 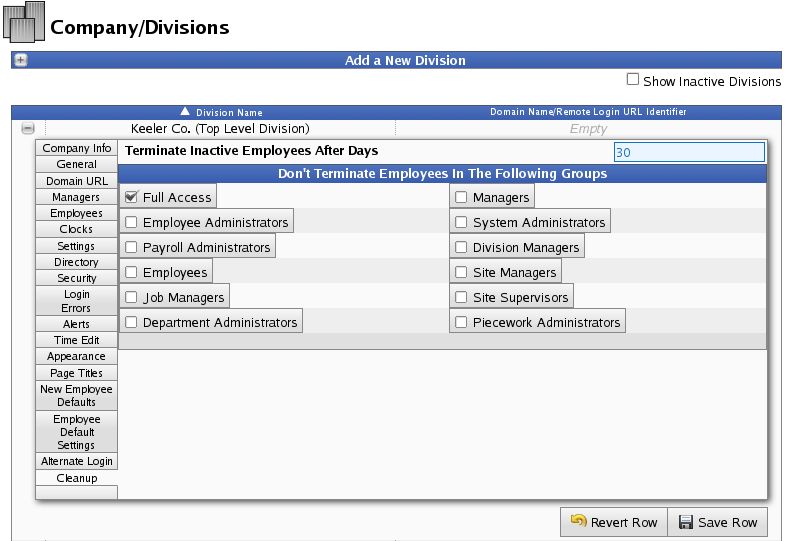 From the Cleanup tab, enter the number of days an employee should be automatically terminated after inactivity. Inactivity refers to no worked time, benefits, holidays, or piecework. If there are certain groups of employees that this does not apply to, check the box next to that group. Click Save Row to implement the changes. 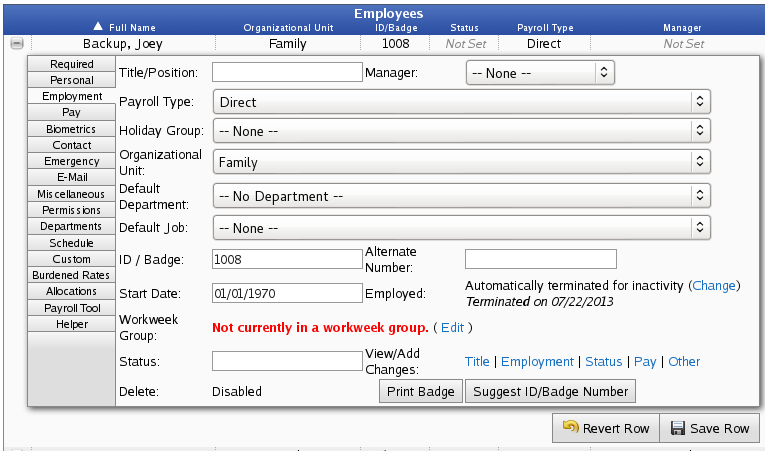 Check the box next to Show Inactive Employees, then click on the Display button. Both active and inactive employees will display. Click on the + sign next to the inactive employee's name to expand their record. On the Required or Employment tab, click "change" to the right of the Employed status. (In this example, it says "Automatically terminated for inactivity". The Employment Status window pops up. 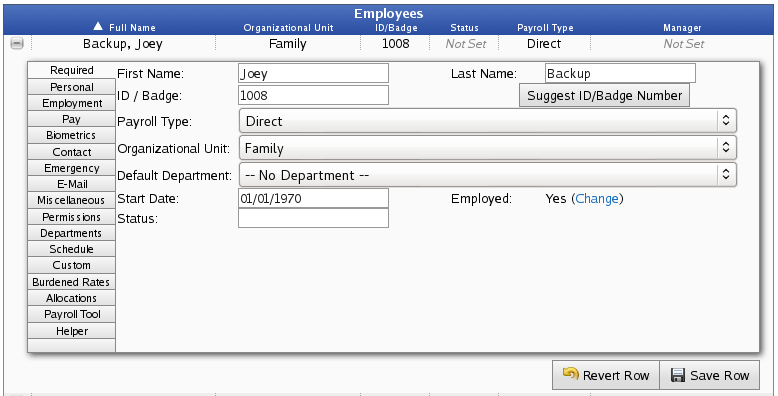 From the drop-down, select "Yes" to reactivate the employee's record. Click Update Employment Status to save the changes. The "Delete Employee" button will not appear if any time events are associated with the employee's record or if a payroll cycle has passed. Instead, it will show "Disabled".